A number of enterprising Muslims met on a Sunday morning with the aim of forging greater unity and understanding among its members. They then formulated plans for having a club for the Muslims where apart from pursuing sporting activities, they could relax in a friendly atmosphere to socialise with each other. The idea was enthusiastically taken up by the people and the work of bulding a Muslim club began in all earnstness. An appeal was made for funds and the large-hearted Muslims responded generously with what ever they could afford. A piece of land was acquired at the present site and the project took off the ground. In there noble endeavour, the Muslims found a guardian angle in a wealthy Arab from the coast, Sir Ali bin Salim who was also a member of the legislative council. Besides a large cash donation, Sir Ali also helped the Muslims with his valuable advice connected with the building of the club. While appreciating the kind gesture of this noble soul and great philntrophist, the Muslims requested Sir Ali to lay the foundation of this historic building. The ceremony took place in the presence of a large number of Muslims from all spheres of life. Among the gathering were such prominent personalities as Khwaja Shamas-ud-din, Alle Ditta Quraishy, Chaudhry Mauladad, Mr. Cocker, Mr. Barkat Ali Surveyor, Mr. Sami Ullah, Dr. Mohammed Ismail Chaudhry to name only a few. To further express their appreciation and gratitude to Sir Ali, the Muslims decided to name the club after him – thus immortalising his name in the annals of sporting circles of Kenya. Since then numerous Muslims have rendered sterling services to the club. Some of them are no more among us but the fruit of their toil and sweat is a living testimony of what can be achieved with co-operation and selfless services. Secretary — Mr. Yacoob Din. In 1941, the club suffered the loss of its benefactor and patron through the death of Sir Ali Bin Salim, KBE, CMG. The year 1942 saw the building of a gallery and partitions through the generous contributions of Varis Manji Jan Mohammed. 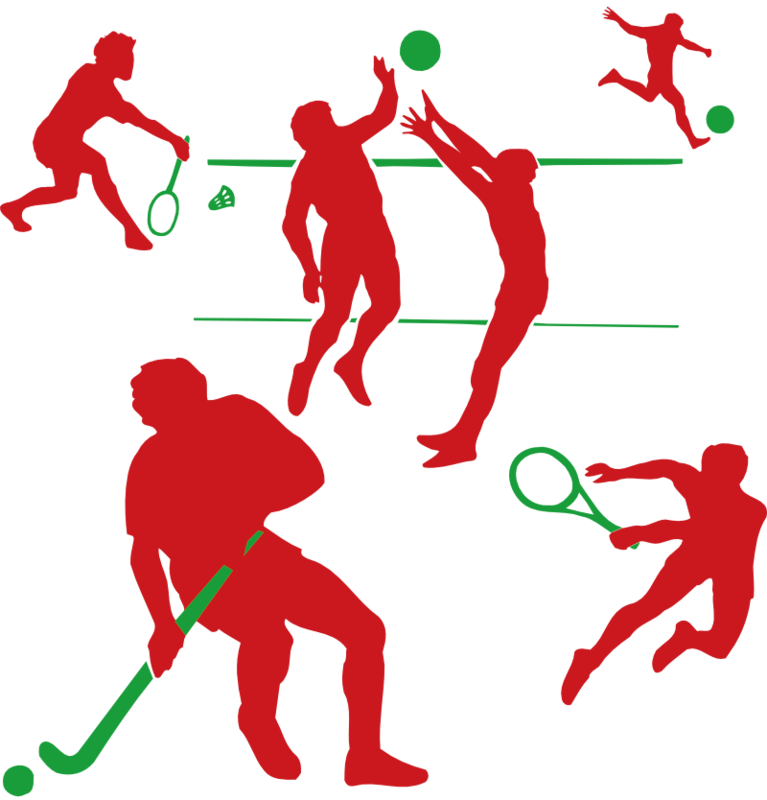 Although since its inception, the club had been holding annual Idd day sporting activities regularly, 1943 was a special occasion. The Muslims were honoured by the visit of prince Karim Aga Khan and Prince Amyer Mohammed, grandson of the late Aga Khan who graced the occasion with their presence. January 1947 was a red-letter day in history of the club when an ardent supporter and an active member of the club, Mr. Ayub Ali was conferred with MBE by the British Government on the New Year Day. Later in the year Hockey got a boost when Seth H.M. Kala donated a handsome amount of money for the construction of a hockey pitch. The year 1952 witnessed yet another great event when Sir Eboo Pirbhai was bestowed with Knighthood. The same year the club had also the honour to welcome Pakistan’s first High Commissioner to Kenya Nwab Sadiq Ali Khan. A reception was given by the club in his honour. The occasion was attended by Muslims from all walks of life. 1952 was another landmark in the club’s glorious history when Sir Richard Turnbull, the Chief Secretary of the Kenya’s Colonial government came to the club to inaugurate the annual Idd-Ul-Fitr Sports day. In July 1970 the club had the honour to play host to the president of the republic of Gambia, Sir D.K. Jawara. In 1980-81 the club spread its wings to embark on a program of expansion – sideways and upwards. To cater for the ever increasing demands for sports an ambitious project was launched for providing greater facilities to its members. A free master plan consisting of a Reception Hall, Badminton Courts, a Swimming Pool, A sauna, a Gymnasium, catering facilities and a Mini Restaurant was drawn. The man after whom Sir Ali Muslim club is named is no doubt the most renowned Arab personality in the history of colonial Kenya. Sir Ali bin Salim bin Khalfan Albusaidi, belonged to the most aristocratic Omani Arab family of the day. Since the sultans of Zanzibar were Busaidis, fellow clansmen were selected by them to act as governors or liwalis in various coastal towns. Salim Bin Sultan, Sir Ali’s father was a lawali of Malindi before he was transferred to Mombasa late in the 19th century. Salim bin Khalfan became a friend of the British as Liwali of Malindi, co-operating with them in their anti-slavery operations during the early part of the second half of the 19th century. With the decline of the independence of the sultanate of Zanzibar late in the 19th century and the advent of the British Protectorate on the Kenyan Coast, the Sultan’s liwalis became part of the new British administration. Salim bin Khalfan became the most senior and the best paid among them, thanks to his most established relations with the British. This privileged position extended to his two sons, Ali and Seif. In 1895 Ali was appointed Liwali of the Gasi and Seif the Liwali of Mambrui. Seif bin Salim’s civic spirit and generosity led to the establishment of the Seif bin Salim library which for many years remained the only public library in Mombasa. Of the two brothers, Ali proved to be the most successful and dynamic. His role in putting down the Mazrui revolt of 1895-6 led to his being awarded a commemorative medal. The British government also rewarded Ali with a visit to London. In London Ali bin Salim with uncanny foresight decided to study English. Not surprisingly, his qualification led to his promotion from Gasi to the capital of the East African Protectorate, Mombasa where he became assistant to his aged father, Salim with an increased salary. When his father died in 1920, Ali bin Salim succeeded him as liwali of Mombasa. From then, Ali binSalim became the spokesman for the Arabs in the British colonial Administration and he soon became the main adviser on the affairs concerning the Arab community. During the First World War, he helped the British and that won him C.M.G. in 1918. He became the first nominated Arab to represent his community in the Legislative Assembly in 1912. In those years of the introduction of western education he urged his fellow Arabs to obtain Western education seeing it as the only way to escape from the economic and political disadvantage the community was suffering from as that time. He played a leading role in the founding of the first Arab school in 1912, and financially assisted those students who could not afford fees. 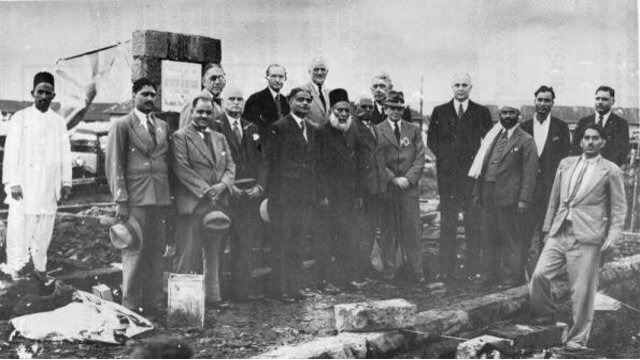 At the end of Second World War, a second school was opened for the coastal people at Milindi in the premise provided by Ali bin Salim who also endowed the school with a trust – and for that generosity the school was named after him. Ali bin Salim’s progressive ideas and farsightedness deserve noting. He realized that the community would lose much more than the political independence unless it realistically faced the political, economical and cultural challenges of the time and accommodated them. He was a keen educationist and admired the progress of the West. He wished to see more Arab youths being educated so that the status of the Arabs in the country could be maintained if not enhanced. He admired the Asians and their expertise in commerce and in various professions and wished his community would emulate them. He was ever-willing to contribute generously towards educational and philanthropic and this charitable spirit was extended to non-Arabs. 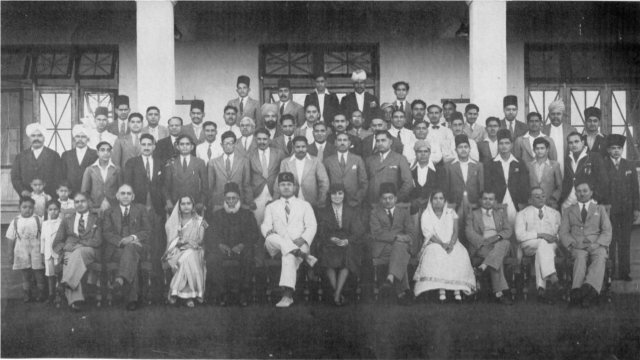 Thus he helped the Goans in Mombasa establish a club and helped the Muslim Asians at the time to establish theirs in Nairobi – Sir Ali Muslim Club. By the time he died on December 4, 1940, he had been made an honorary captain of the Royal Navy Volunteers Reserve – a singular honour since at the time there were only four such honorary captains, including the Earl of Derby. He had also been knighted by the British. Sir Ali bin Salim was no doubt the most outstanding and the most powerful Arab Chieftain during the first four decades of the 20th Century. He belonged to the family that has left behind a commendable legacy and social and welfare services to the Arab community and the others.